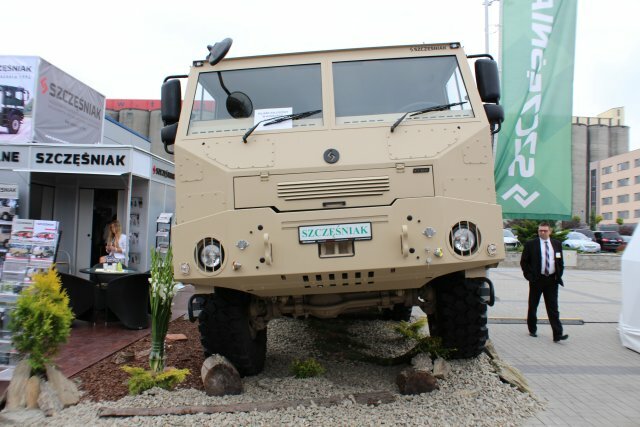 Specialized in the production of specialized vehicles in Central and Eastern Europe, Szczesniak at MSPO 2014 introduces new generation special vehicle, the High Mobility Wheeled Platform (KPWM). The High Mobility Wheeled Platform (KPWM) was designed and built as a response to market demand in cooperation with the Military Institute of Armour and Automotive and Military University of Technology. The concept of High Mobility Wheeled Platform is to provide excellent drivability characteristics, high capacity and modularity in rough terrain and enabling further vehicle-`s construction development. 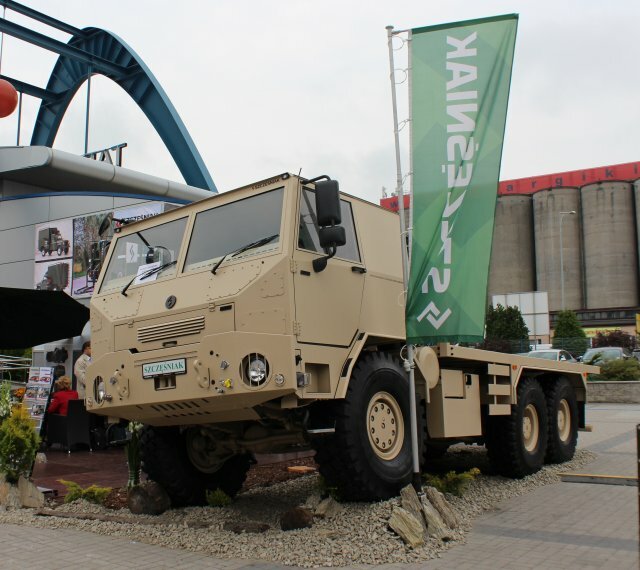 The KPWM 6x6 vehicle features advantages of 4x4 vehicle and is intended to the cargo carriage. In the construction of KPWM has been limited usage of complex mechanical and electronic systems, so that the KPWM vehicle works where typical commercial vehicles fail. In the jargon of special services such vehicle is often referred to the term of "workhorse", a vehicle that is suitable to work in all conditions. The vehicle is designed for trouble-free operation, corrosion resistant and suitable for driving in extreme temperatures (from -30°C to +50°C) and the dusted environment. Moreover, the IVECO Cursor 13 (420hp) engine and a large fuel tank (300 Liters) allows both high speed and long operational range. The KPWM vehicle is equipped with gearbox reducer and differentials, essential when driving off-road. Strength and lightness of High Mobility Wheeled Platform was achieved by using classic chassis design, consisting of a frame made of high durability steel, made on the basis of C-shape longerons with a thickness of 10 mm. The vehicle suspension uses the elastic elements such as reinforced parabolic leaf springs (front), semi-elliptical leaf springs (rear), shocks and stabilizer, in order to reduce lateral body roll during cornering. The front drive axle has been shifted by 150 mm toward the front of the vehicle, in order to increase the approach angle, which in this version is 40 degrees. In the chassis framework contained solutions securing chassis against damage while moving over rough terrain. All components of the chassis has been "hidden" - installing them with a high clearance from the ground, reinforced engine`s sump and used a wide bumper additionally acting as protection for the radiator and engine. Simplicity of the KPWM construction ensures ability to self-repair by the user, it is especially important when the actions are carried out away from the base service. The compactness of the modular structure characterizing the vehicle, enables its transportation by various means of transport, for example: train, boat, airplane or helicopter. The version of KPWM presented at this year XXII International Defence Industry Exhibition MSPO in Kielce, is a version dedicated to the armed forces, but it must be treated just as an example selected from a number of versions.The further development of this model will occur in the future as a response to the growing interest of users. For example, the structure can be adapted to the needs of the fire brigades or armored version adapted to the needs of the army.